I love this chocolate coated banana recipe, it’s easy and kind of healthy (minus the chocolate I guess?) 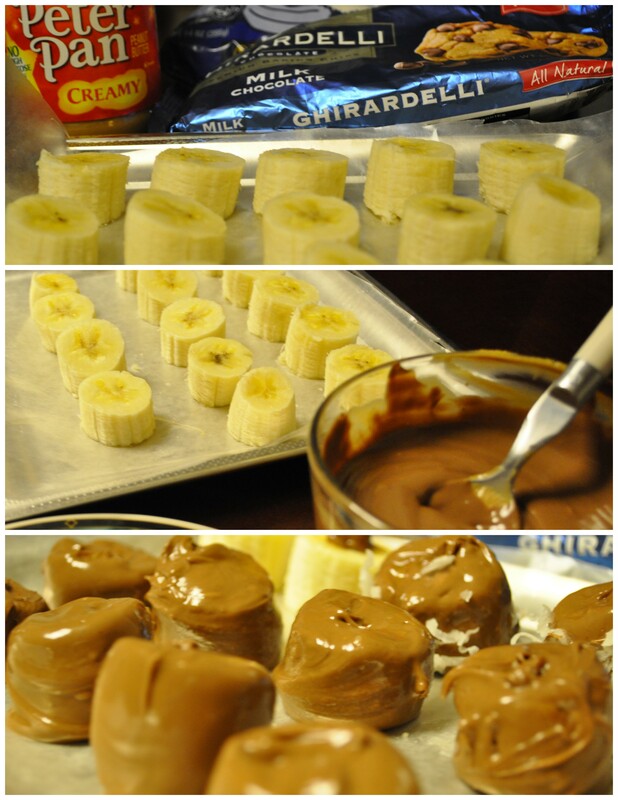 Picture says it all actually, but here goes the recipe for peanut butter and chocolate coated bananas. Cut the bananas half inch thick and line them up on a parchment paper. Melt peanut butter & chocolate chip for 60secs or less depending on your oven; once melted, give it a little whip. Dip bananas in the chocolate mixture and chill. Sprinkle some coconut flakes (optional). Enjoy! Let me know what you think if you ever try this recipe.